From conception to completion, Century Kitchens & Bath takes extreme satisfaction in providing exceptional customer service for more than 50 years. At Century Kitchens & Bath we take pride in offering only American-made, top-quality, cabinetry and a vast selection of tiles, surfaces, and details that make your dream a reality. Fall in love with your home again through renovations and personal touches. 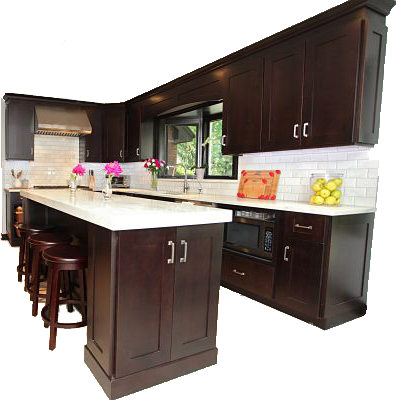 We specialize in kitchens, bathrooms, laundry rooms, and en suites. You get your own designer and a crew of licensed plumbers, electricians, carpenters. We have a crew of dedicated individuals that have been in the business for decades. Your designer is with you every step of the process. Don't just sign with us -- DESIGN with us! To perform for our customers the highest level of quality construction and remodeling services at fair and market competitive prices.